In light of the U.S. Supreme Court case stating that State regulatory Boards are not immune from being sued for taking action that violates Antitrust laws, this article reports on six state board antitrust cases to watch. Since the U.S. Supreme Court ruled that state professional regulatory boards are not inherently shielded from antitrust challenges, a number of suits have piled into federal courts across the country. The split decision in the Federal Trade Commission's case against North Carolina's dental board held that state boards controlled by active market participants don't automatically qualify for what is known as state action immunity. While states and other government entities can generally escape antitrust liability if they clearly articulate a plan to replace competition with regulation, the February ruling means that professional regulatory boards may also have to be actively supervised by the state to win immunity. That decision has led to a spate of new cases since the case brought attention to the possibility that state boards may be limiting competition, according to Jarod Bona of Bona Law PC. Here are a few cases to watch as district courts begin to analyze those issues. Henry et al. v. North Carolina Acupuncture Licensing Board et al. In early October, several licensed physical therapists and patients sued the North Carolina Acupuncture Licensing Board over the agency's decision to send cease-and-desist letters to physical therapists who offered dry needling services. Dry needling is a decades-old accepted physical therapy technique in which specialists insert needles into muscle trigger points to relieve patients' pain and is distinct from acupuncture, according to the complaint. Indeed, the North Carolina Attorney General's Office told the acupuncture board in late 2011 that the two practices were distinct. But the board still began sending cease-and-desist letters to physical therapists offering dry needling in 2013 as part of a broader campaign that included updating the Wikipedia page for dry needling to mention the board's views and suing the state's physical therapy board over allowing its professionals to practice the technique, according to the complaint. The plaintiffs maintain that the board's efforts violate federal antitrust law. The suit doesn't specifically delve into state action immunity issues, though it does mention that state law requires the board to include seven acupuncturists among its nine members. Currently the board has six members, five of them acupuncturists. Teladoc Inc. et al. v. Texas Medical Board et al. The company maintains that the Texas Medical Board instituted the rule with the goal of squelching competition from remote medical providers. Twelve of the 14 members of the Texas board are active physicians, and the only member to dissent from the rule was one of the other two, which the complaint says makes the board just the type of professional regulator that requires active state supervision in light of the Supreme Court's decision. The medical board is still trying to dismiss the suit saying that it remained immune from antitrust scrutiny and that Teladoc's reading of the Supreme Court's ruling was overly broad. LegalZoom.com Inc. v. North Carolina State Bar et al. Online legal services purveyor LegalZoom sued the North Carolina State Bar in early June, citing the Supreme Court's ruling and seeking $14 million in damages. The company wants to offer prepaid legal services plans that link customers up with local attorneys in their states. But the North Carolina State Bar sent LegalZoom a cease-and-desist letter, a move that the company described as an illegal effort to tamp down competition. LegalZoom maintains that the bar is not immune from antitrust law under the high court's decision. The two sides struck a deal that will let LegalZoom offer its services in North Carolina under certain conditions and calls for LegalZoom to move to drop the suit without prejudice to the bar within 10 days. Robb v. Connecticut Board of Veterinary Medicine et al. A Veterinarian sued Connecticut's veterinary board challenging its decision to discipline him over his vaccination procedures. He says he decided to offer smaller vaccination dosages than the manufacturers' recommendation for smaller dog breeds in order to address health problems that had cropped up in those animals. The dispute stemmed from a complaint made to the board amid a fight with the company that acquired the pet hospital. The board, which is made up of three practicing veterinarians and two attorneys, opted to pursue a disciplinary procedure against Robb to force him to change his practices, but the doctor sued in federal court. The vet maintains that the move is designed to restrict competition, not to protect animal safety. Wallen et al. v. St. Louis Metropolitan Taxicab Commission et al. A group from an Uber Technologies Inc. subsidiary sued the St. Louis Metropolitan Taxicab Commission, its commissioners and several cab companies in September challenging new background check regulations. The drivers and riders of Uber USA LLC maintain that the new rules are designed to shut the ride-hailing service out of St. Louis and avoid competition. The group challenged the taxi commission's refusal to let Uber launch its cheaper uberX service in the city, saying the move benefited the entrenched taxi operators. The board legally must have two taxi company owners or operators, one taxi driver and a fourth commissioner from either group and is run by a chairman with deep ties to the industry, according to the suit. That means the agency is controlled by market participants and therefore must have active supervision from the state to escape antitrust scrutiny under the Supreme Court's ruling, the complaint says. 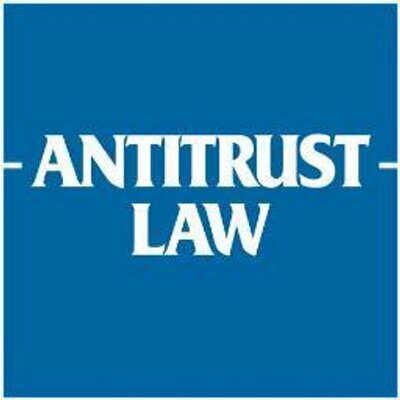 The disputes citing the Supreme Court's ruling have not been limited to newly filed antitrust suits. A Florida attorney suspended for a year for repeated bad-faith failure to comply with court orders told the Florida Supreme Court in September that it didn't have jurisdiction to suspend him because the grievance committee that investigated his misconduct isn't actively supervised by the state.